Vipul machhi is 19 year old boy who is suffering from chronic kidney failure. he belongs to padra, vadodara, a small town near vadodara city. Vipul was diagnosed to suffer from kidney disease 1 year ago. He require regular maintenance dialysis or Kidney transplant. 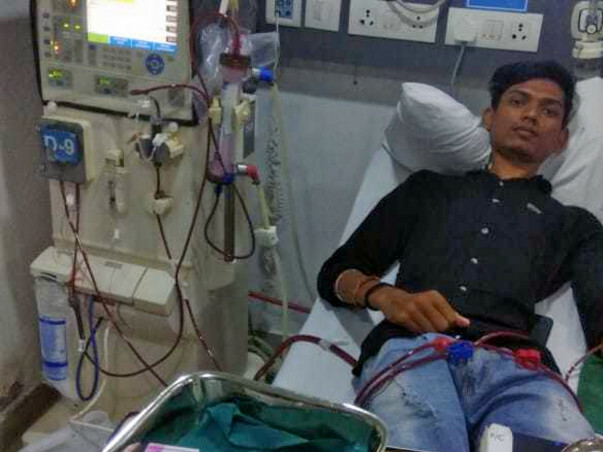 Vipul is on regular maintenance dialysis at Sterling Hospital Vadodara since 1 year. 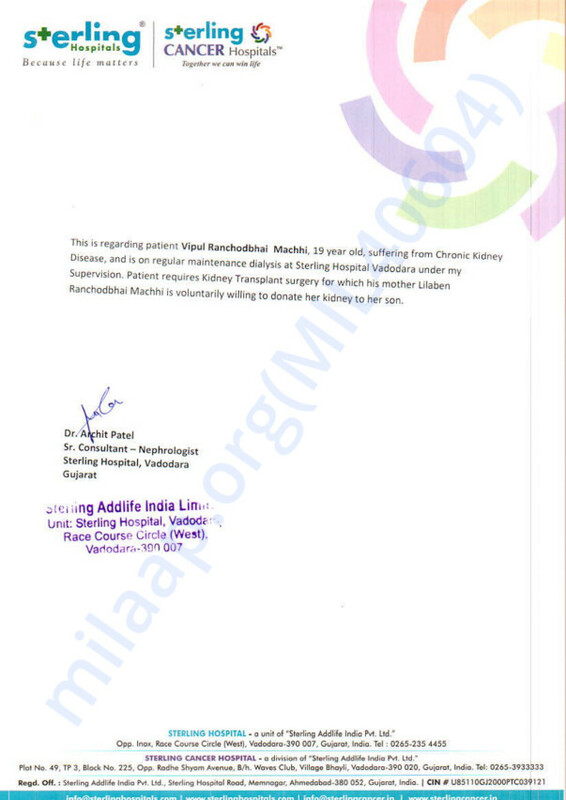 Vipul's mother Lilaben Machhi is willing to donate her kidney to vipul to save his life and give him quality life. Vipul's father is a laborer. Vipul Machhi is undergoing surgery where his mother Lilaben Machhi is donating her kidney to her son for his better life. Thank you for the support. Please do pray for his health and speedy recovery. Will keep you posted.